↑ Hiesinger, H.; Head (publications), J. W. (8 जनवरी 2004). 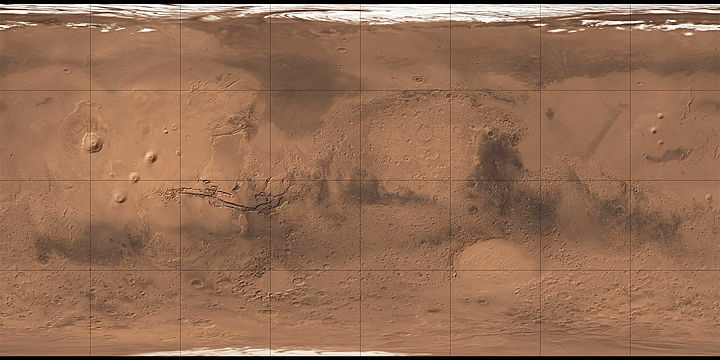 "The Syrtis Major volcanic province, Mars: Synthesis from Mars Global Surveyor data" (PDF). Journal of Geophysical Research. 109 (E1): E01004. डीओआइ:10.1029/2003JE002143. बिबकोड:2004JGRE..10901004H. E01004.